Slender Man is the most famous piece of Internet lore to emerge from the Something Awful forum, and certainly ranks as the top Bogeyman of the web. The 2009 Creepypasta creation of Eric Knudsen (posting as Victor Surge, who gets a creator credit here, but I don't know if that involves real money) is an amalgam of so many tropes and myths that he immediately speaks to many collective fears. Knudsen himself has said he was inspired by the work of Stephen King, H.P. Lovecraft, and Williams S. Burroughs. But he also became a real-world Bogeyman about three years ago when two 12-year-old Wisconsin girls stabbed another to become "proxies" for Slender Man. "In a small town in Massachusetts, four high school girls perform a ritual in an attempt to debunk the lore of SLENDER MAN. When one of the girls goes mysteriously missing, they begin to suspect that she is, in fact, HIS latest victim." As a horror fan, there isn't much for me to sink my teeth into with the trailer. It's a lot of disjointed fast cuts that tell nothing of the story, but include a few Ring-like images meant to unsettle the viewer. It also holds back on showing too much of Slendy. It feels a little too generic at this point -- especially after 2017 saw the release of IT, and horror movies had a nice mainstream moment. We will see, and I will keep an eye on it. More importantly, I am somewhat troubled by the filmmakers' choice to craft a story that seems to intentionally evoke the 2014 Wisconsin stabbing case. There is a treasure trove of interesting Slender Man materials to draw inspiration from without recalling such a recent case. 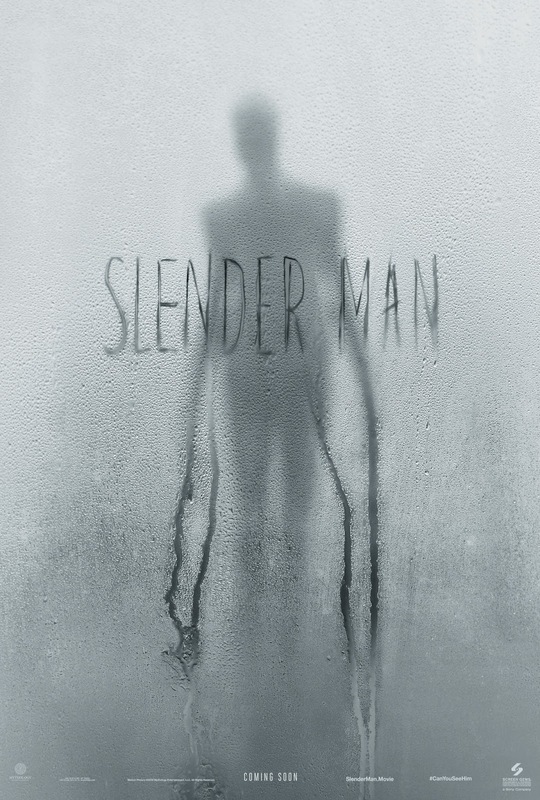 Slender Man opens May 18. Meanwhile, check out Tim Seeley's sci-fi/horror comic Imaginary Fiends, that borrows from Slender Man and spins the yarn of Polly Peachpit, and a realm of interdimensional fear-consuming monsters. 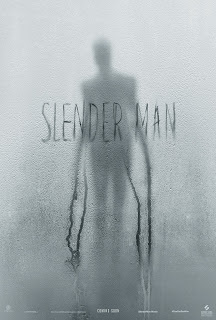 Let me know your thoughts on the Slender Man movie. Plus: Read more about my thoughts on Slender Man's cultural significance, and his attempted successor.